Today it was my turn to supply the snack for my daughter's kindergarten class. I had a very hard time trying to decide what to take in. 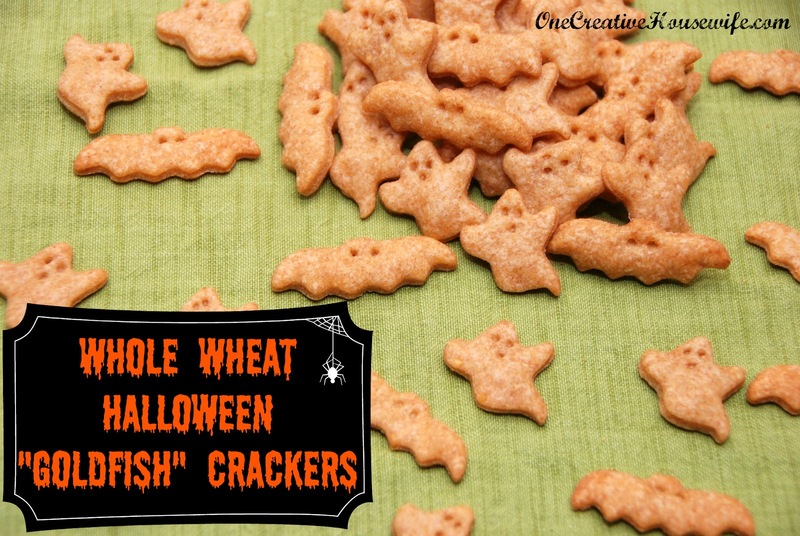 Since it is October, I thought I would put a Halloween twist on one of my kids' favorite snacks...Goldfish crackers. 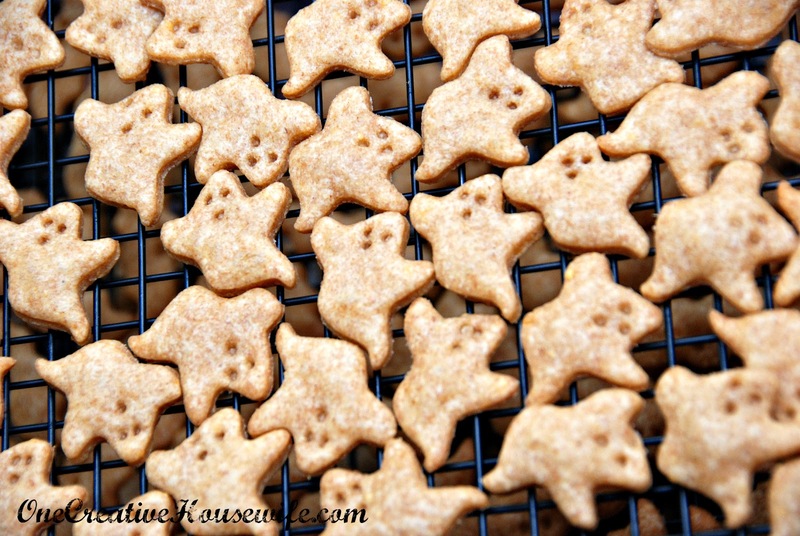 These little guys are a tasty snack, plus you can coordinate them to any theme you want. 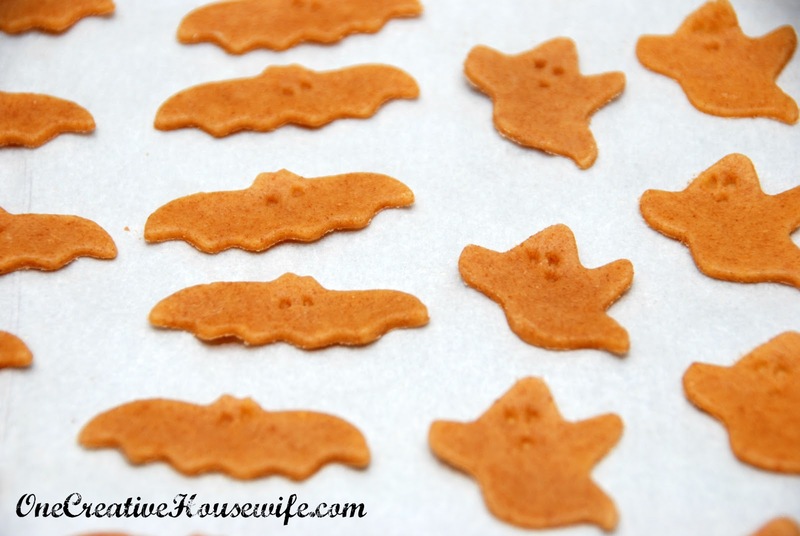 The cookie cutters I used are bat and ghost from the Wilton Halloween mini cookie cutter 6 piece set*. 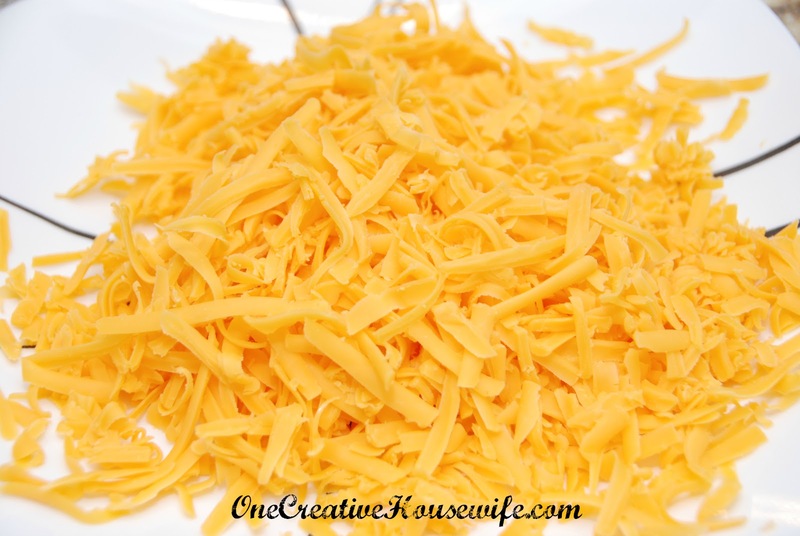 In the recipe I list sharp cheddar cheese, but I used extra sharp because I sent my husband to the store and that is what he bought. I personally think sharp would be more kid friendly. You can use any flavor or combination of cheeses you would like. Make sure that it is 8 ounces by weight, not by sticking it in a measuring cup. 1. Pre-heat oven to 350 degrees and line baking sheets with parchment paper. 2. 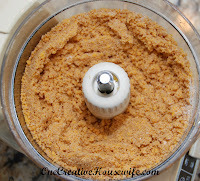 Place the shredded cheese, flour, and salt in food processor and blend until combined. 3. Add butter and blend until the butter in mixed in, and the mixture looks crumbly. 4. 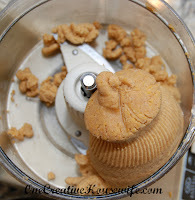 Add ice-cold water to the mixture and blend until the dough forms a ball. 5. Chill the dough in the refrigerator for 20 minutes. 6. 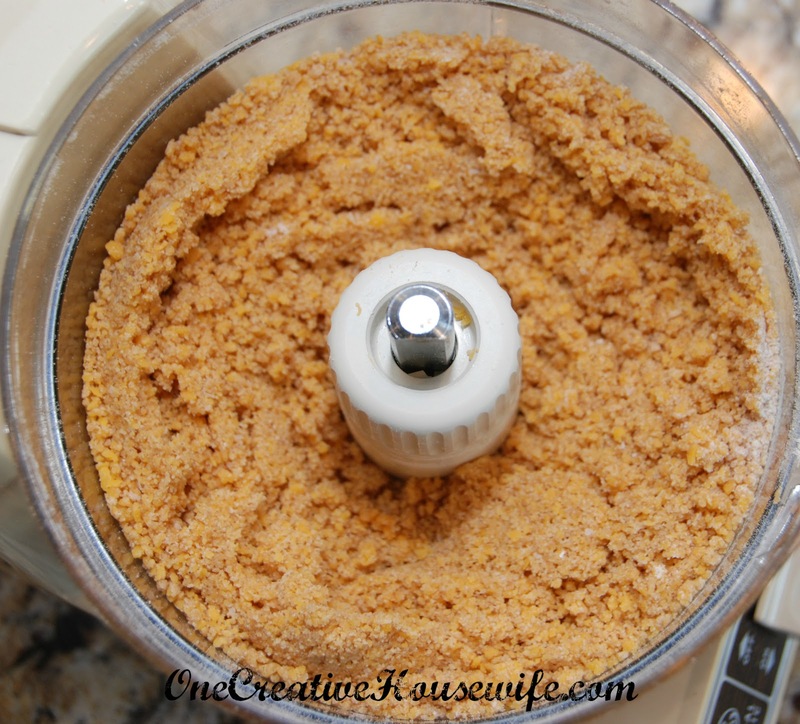 Place a section of the chilled dough on a lightly floured surface and roll to 1/8 inch thick. I found by breaking the big ball of dough into smaller sections it was easier for me to achieve the thickness I wanted. These little guys puff up nicely, so don't worry about how thin you are rolling them. If you make them thicker you will have to bake them longer, and make sure to be consistent in how thick you make them. 7. 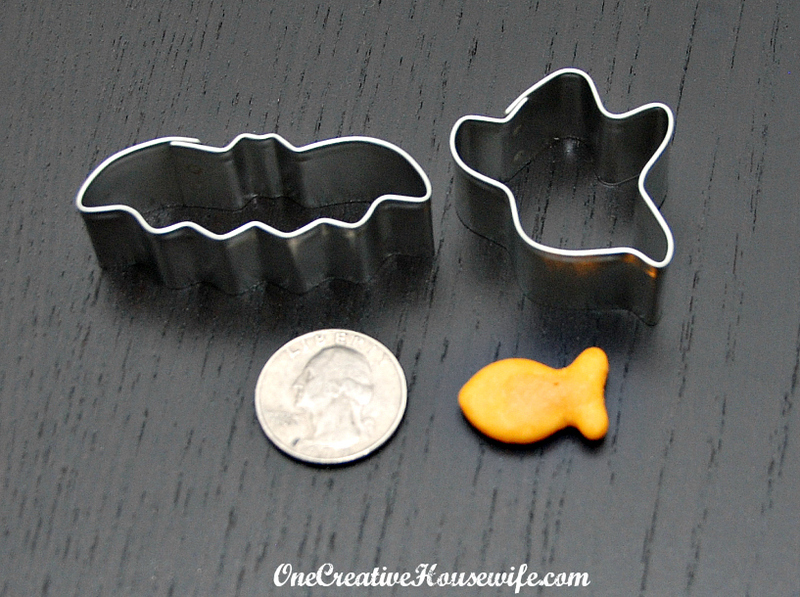 Cut the dough with a cookie cutter, or the wide end of an icing tip. 8. 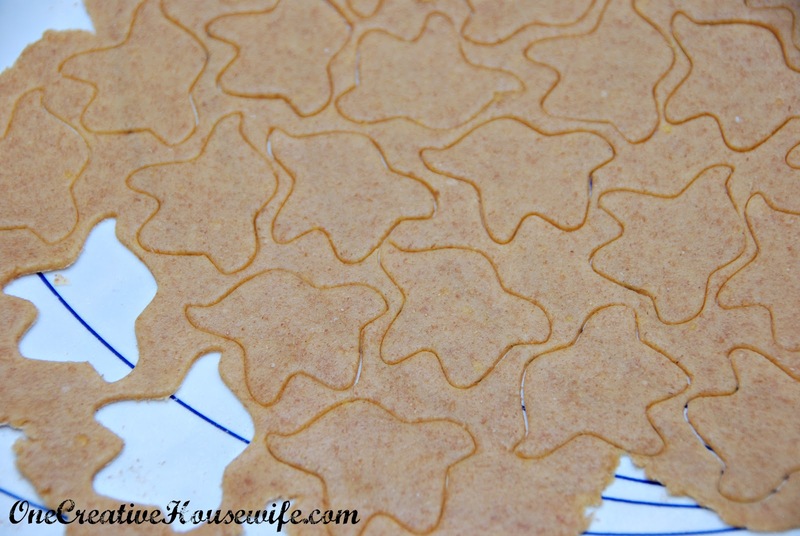 Place the cut shapes on the parchment paper lined baking sheets. 9. If you want to "decorate" the crackers, make the marks in the crackers bigger than you want them to be. When they bake the marks with become smaller. I used the thicker end of a wooden skewer, not the pointy end. 10. Bake for 10-15 minutes. (Remember depending on the thickness of your dough and the size of the cookie cutter you used you may need to adjust baking times.) The crackers are done once the bottom of your crackers are lightly browned, and the tops do not look really wet. I was able to get a little over 200 bats and ghosts out of one batch. Your number will depend on how thick you roll the dough and the size of your cookie cutter. Wow, what a fun mom! I'm your link party neighbor at ABFoL... my link is just next to yours. I'm so glad, because I've never been to your blog before and it's wonderful! I LOVE your patriotic wreath! Thanks! I pinned your Homemade Chocolate Fudge Sauce looks delicious! Those are so cute. My grandson would love em. Thanks for sharing at The Gathering Spot this week! Awesome idea!!!! Thanks so much!